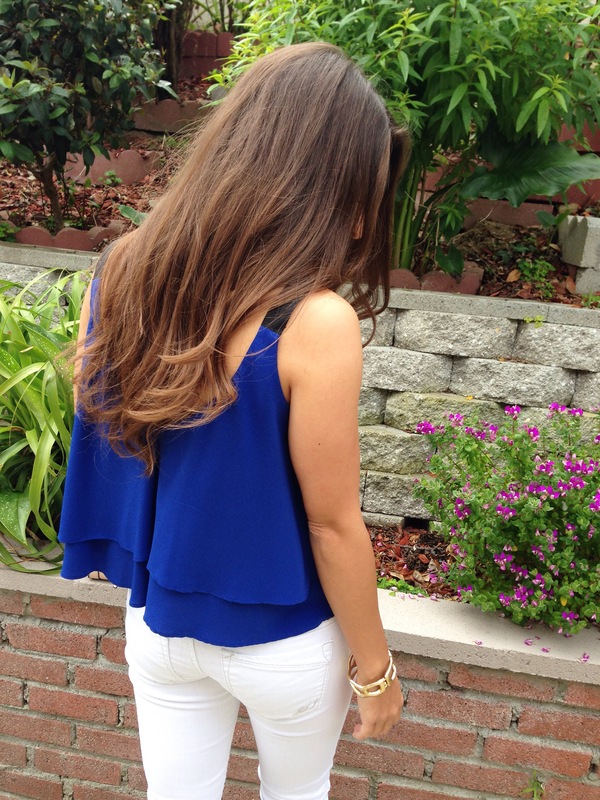 For Memorial Day weekend I wanted to wear something a little festive with red, white, and blue. Where I live its still pretty cold and this day was particularly windy so I ended up having to change my top later on. Don’t you just hate it when the weather doesn’t want to cooperate with your wardrobe choices? Lol. 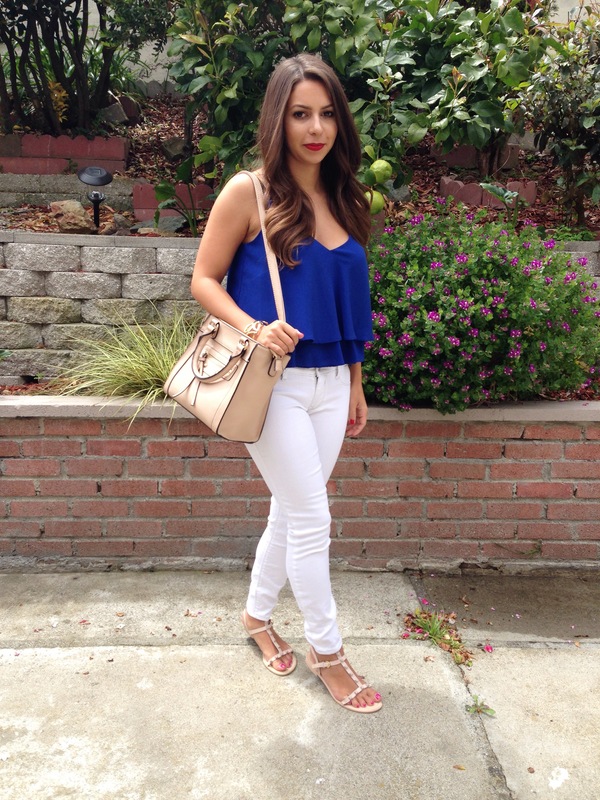 I just loved how the blue top popped against the white jeans, and I topped them off with my favorite Spring sandals. Hope you enjoyed the long weekend, and hopefully some sunshine! I love that top! It’s adorable. I’m so glad I came across your blog. Thank you! 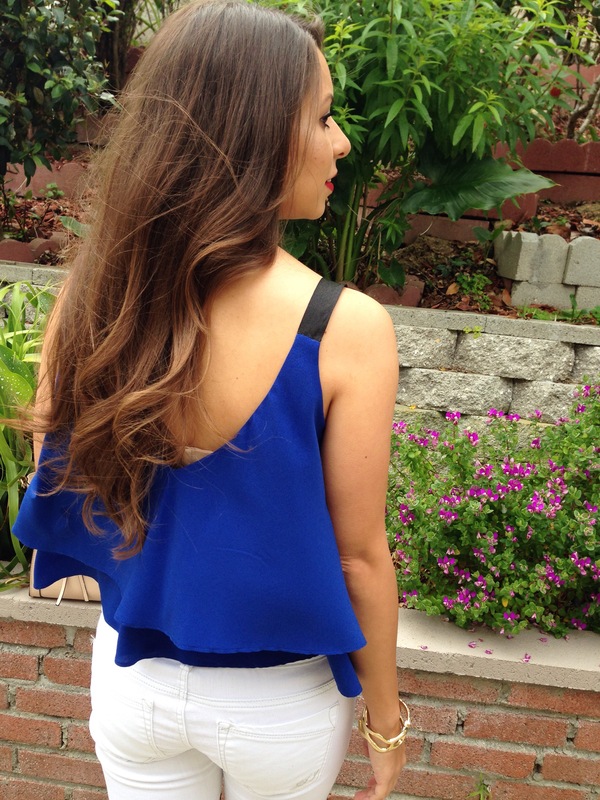 Yes, this shade of blue is hot for summer, been seeing it pop up everywhere!